This is an amazing clip of a magician performing the card trick "Sam the Bellhop", which is "without a doubt one of the best card tricks you’ll ever see." (from Big Geek Daddy). The other week I was at a social event where they brought in a "corporate" magician. I've always wanted to see someone cut aces from a deck in person — and sure enough, the guy said it was easy. So we went off to the side — I inspected the deck and shuffled it myself. He cut the 4 aces in 10 seconds…unreal! Notice the very subtle technique he used to get the guy cut the cards exactly where he wanted it cut. Notice the crimp? Notice the Mechanic's Deal? The rest was false cuts, false riffles, false shuffles and very nice subtle pass throughs. He had the deck set up beforehand, and not a single card was moved despite all outward appearances. This guy is pretty good, but you can't listen to him, just watch the hands, and only the hands. His patter reminds me of the noise that the mistress uses to deceive us and relieve us of our cash. One could probably improve their speculation game if they just concentrate on the movement of the hands and ignore the noise. Worried about your job being sent to China? If so, then you'll never see the bigger threats lurking on the other side of the cubicle wall. Advances in technology and budget cuts by management are much more of a menace to your future employment than some two-bucks-an-hour worker in a southern China boomtown. At least that's the message of Columbia Business School professor Bruce Greenwald and historian Judd Kahn in "Globalization," their bracing response to the "irrational fear" of outsourcing and other bogeymen of the antiglobalization brigades. Messrs. Greenwald and Kahn argue that the key forces shaping our lives are local; it's not that international trade is unimportant, it's just that other factors are more important. Consider the significance of technology in the workplace, something often overlooked by globalization worrywarts. Examining data on changes in the U.S. work force, the authors show that job losses due to higher productivity — often the result of improving technology — greatly outnumber those lost to globalization. The authors cite Commerce Department figures estimating that 65% of job losses in manufacturing between 2000 and 2006 were due to productivity increases; just 35% of job losses owed to overseas outsourcing. "The data actually reveal that fears about the havoc from globalization on workers in high-wage economies have been wildly overblown," Messrs. Greenwald and Kahn report. Think of the legions of secretaries and office workers eliminated by the desktop computer or the increasing use of technology in the auto industry. So if globalization hasn't sent your job to another country, it must at least be the reason for the economic rise of China and India, right? Wrong. If globalization were the cause rather than a condition, Latin America and Africa would have arrived at the party a long time ago. Instead, globalization and trade help countries that have made the tough local decisions to liberalize markets, tamp down corruption and unleash the powerful incentives of capitalism. Hence the influential role of local decision-making in everyone's future. If this sounds counterintuitive, given the conventional wisdom about world economics, it helps to remember that "globalization" is just another word for a phenomenon that we've seen before. Messrs. Greenwald and Kahn find similarities between our era of expanding global trade and international markets a century ago. Trade as a share of global output rose until 1920, thanks to improvements in shipping, which helped build foreign markets for commodities such as grain and coal. But this trade expansion proved limited and cyclical. Commodities became cheaper and thus commanded a smaller share of household budgets. Consumers were able to spend more money on manufactured goods, such as washing machines and automobiles, that were harder to globalize because they depended on local sales networks and consumer preferences. That caused global trade's importance to shrink — until midcentury, when overseas markets heated up again. 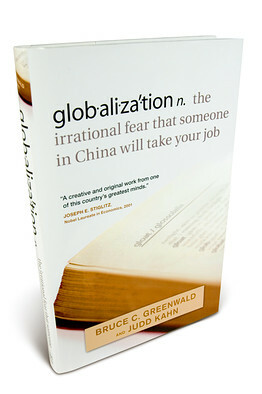 Globalization: The Irrational Fear That Someone in China Will Take Your Job By Bruce C. Greenwald and Judd Kahn (Wiley, 186 pages, $29.95) Fast-forward to today. Will trade continue its post-World War II boom? The authors argue that global trade has peaked again — independent of the world-wide recession that has so constricted consumption. The demand for computers, cars and appliances fueled the increase in global trade because companies learned how to produce cheaply manufactured products that could be tailored to meet local market demands. In other words, manufacturers finally figured out how to commoditize the modern equivalents of yesterday's washing machines. Computers, iPhones and automobiles are now all global goods, easily tailored and distributed to meet local market needs. But Messrs. Greenwald and Kahn believe that we will again shift more of our spending to things that are hard to globalize. "Services are likely to be the greatest area of growth, and the majority of these items will be locally produced and locally consumed: housing, medical care, education, legal and social services, recreation, utilities, telecommunications, and others." The authors' contrarian view of globalization leads to several provocative arguments. Among the more startling is the contention that liberalizing global financial markets isn't necessarily a positive development. Local investors will always have better information than investors who are widely dispersed geographically, Messrs. Greenwald and Kahn argue. The authors offer a vivid example of how information gets lost as the distance grows between investors and the assets they're buying: the repackaging and sale of toxic subprime mortgages across the world. While local knowledge is certainly important, Messrs. Greenwald and Kahn might have at least spared a word of praise for the way that deploying capital globally can produce worthwhile investments. Disciplined foreign investors made out very well in the aftermath of the Asian financial meltdown of 1997 and in crises where fund managers were able to move money quickly from capital-rich investors in one part of the world to capital-starved countries elsewhere. Messrs. Greenwald and Kahn also might have spent a little more time on the subject of wages around the world. They dismiss concerns about the income stagnation caused by global trade, noting that wages have done slightly better as global trade has expanded. But a more rigorous analysis of the forces influencing anemic income growth in the U.S. would have been welcome; they may well include migration, the quality of new service jobs or other matters related to globalization. Still, in its crisp, stimulating way, "Globalization" presents a rational element in a debate too often characterized by hysteria. Mr. Carew covers Asian mergers and acquisitions for The Wall Street Journal in Hong Kong. Other researchers working on the study include Susan Harris, Nancy Palermo, Helen Rasmussen, and Gerard Dallal of Tufts University in Boston, Mass., and Carmen Castaneda-Sceppa of Northeastern University in Boston, Mass. The article "Treatment with Potassium Bicarbonate Lowers Calcium Excretion and Bone Resorption in Older Men and Women," will appear in the January issue of JCEM. Founded in 1916, The Endocrine Society is the world's oldest, largest, and most active organization devoted to research on hormones, and the clinical practice of endocrinology. Today, The Endocrine Society's membership consists of over 14,000 scientists, physicians, educators, nurses and students in more than 80 countries. Together, these members represent all basic, applied, and clinical interests in endocrinology. The Endocrine Society is based in Chevy Chase, Maryland. To learn more about the Society, and the field of endocrinology, visit our web site. As usual for the beginning of the year, the weak and rigid made a contribution to the strong and flexible. In markets the best of recent years performed the worst, and the worst performed the best. The NASDAQ was up a mere 7% last year, versus the S&P 500 's 15%, but now is up 4 % this year already, whilst the S&P is struggling along unchanged. Oil, the best performing market over the previous two years, is down 10%, and the dollar which was, at the worst of last year relative to its normal variability, down 10%, is now up 3%. It is a similar story for the ten best individual stocks in the S&P 500 last year — ati, nvda, cmx, cbs.v, big, merq, bls, pd, hpc, nue — they are down 2% so far this year. The ten worst stocks last year — donaq, apol, adct, amd, jbl, ebay, bsx, novl, kbh, stj — are now up about 2%. Good old blue. In Japan when a big stock sets a milestone there is singing on the exchange. There should have been an opera for IBM yesterday as it broke through 100 for the first time since April 2002. What a show of resilience — a milestone for the market, similar to the Dow breaking 12,000. This show of strength had a gravitational pull enough to outweigh the pseudo event of Gov. Moskow in Iowa stating that the Fed. would have to remain vigilant on inflation and raise rates again if economic growth quickens in 2007. When will someone explain to Fed. Governors that the stronger the economy, the less likelihood there is of inflation, as there is expansion to absorb the money supply. pt (price times trade) = a constant to a first approx., and if t is up then p is down. But of course the Iowa speech was a staged classic pseudo event of the kind that Boorstin would have used as a cardinal example, if his interests were not so aligned with the collective and it would not have offended his sponsors. Nevertheless, it was picture perfect. At precisely 12:30 e.s.t., the market swooned to 1415, down a nice 1% on the year, when the word "vigilant " came across the tape, and within 4 hours, the market had recovered the full 1% so it could play footsie with unchanged levels again, and get the boys who anticipated the pseudo Jan. barometer to reverse. The major mistake that they make in fundamental statistical research, in my opinion, even above and beyond the use of retrospective files and out of date data, is to assume that the number of independent observations is somehow related to the company years in the study. If you are considering 1000 stocks say, value versus growth, over ten years, then you have ten independent observations, not 10,000. That is because in any given year, a certain style does well or badly, and the rising tide lifts all boats designed in such a way, and therefore the results in that year are completely predictable from five of six of the company years, and the rest of the 995 are redundant and non-informative. I always get a kick from the key level boys who say "1398 is the key level." They do not tell you whether it's bullish or bearish, when you should act on it, or which index they're talking about. But if five days later the index or the futures is well above 1398, why then they say "we were on record with that 1398 was the key level to buy." If 5 days later it's 1350 then they tell you that the big boys got you again. Now someone is going to tell me that 1398 was not a key level but the problem is that the key levels that I have heard talk of never got near for the futures, and were broken below for the index by three, so my goodness, what fools they must think we mortals are. What a terrible Upas tree of self destruction is wrought by such key level analysis. When will someone explain to Fed Governors that the stronger the economy, the less likely there is for inflation as there's expansion to absorb the money supply pt( price times trade) = a constant to a first approx and if t is up then p is down. This concept that real economic growth reduces the likelihood of inflation is something that is rarely explicitly mentioned. In fact, even on this list, this is the first I've heard it put this way, and it makes sense. 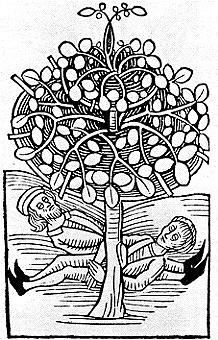 The only other place I've seen it is in Wanniski's works and essays. Growth is a result of "demand for liquidity," which is defined as demand for liquid funds (money) to be invested directly into the economy. Lower taxes increase demand for liquidity, since it lowers the cost of capital (and rewards to capital). The result is an "expansion to absorb the money supply." Now, if the money supply increases, but the desire to invest decreases or goes away (say, because of new regulations or suddenly sharp, higher marginal tax rates), there is a) less expansion (investment) and b) higher inflation (less supply of goods and services). In the case of this higher inflation, the money bids up the prices of goods and services, and/or is stashed away in "inflation hedges" (or perceived inflation hedges), as people observe increases in nominal prices. Nov. 10 (Bloomberg) — U.S. Securities and Exchange Commission Chairman Christopher Cox said the agency will propose rules next month making it harder to invest in hedge funds. “We’re going to make it very clear that hedge funds are risky investments that are not for mom and pop by fencing it off with higher standards to accrediting investors,” Cox said in an interview today. What does that mean? Leverage? Commodities? Long/short? Short only? Unlevered equity? Fixed income subordinated leverage? Not important. They’re all the same!